Penelope and Bill fell in with the Sonoma Harvest collection and couldn’t think of a better style for their fall wedding. They spent quite some time looking for the perfect invitations but as soon as they found these wine harvest wedding invitations from ForeverFiances they knew they had found exactly what they wanted and exactly what would show their beautiful wedding style. These invitations fit in with their theme and were unique enough to be the perfect centerpiece for their gorgeous wedding. These two have only just fulfilled their dream of moving by the bay and couldn’t wait to show off their beautiful home with an outdoor wedding. The smell of oak wine barrels and the sight of beautiful foliage were exactly what they wanted. Avid lovers of nature and wine they just knew that a Sonoma style would be the perfect thing for them and that it would help them show a unique style to all of their friends and family. If you’re like them and dream of a beautiful wedding in an orchard or vineyard these could be the perfect wine harvest wedding invitations for you and your wedding as well. 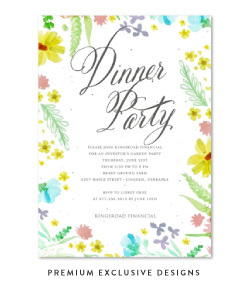 All invitations by ForeverFiances are completely unique. You’ll never find two that are exactly the same because of the unique handmade paper, embedded with wildflowers seeds. These wine harvest wedding invitations are made with 100% recycled paper and come seeded with your wildflower seeds. This was perfect for Penelope and Bill because they were able to share their love of nature with their guests and give back to the environment as well. 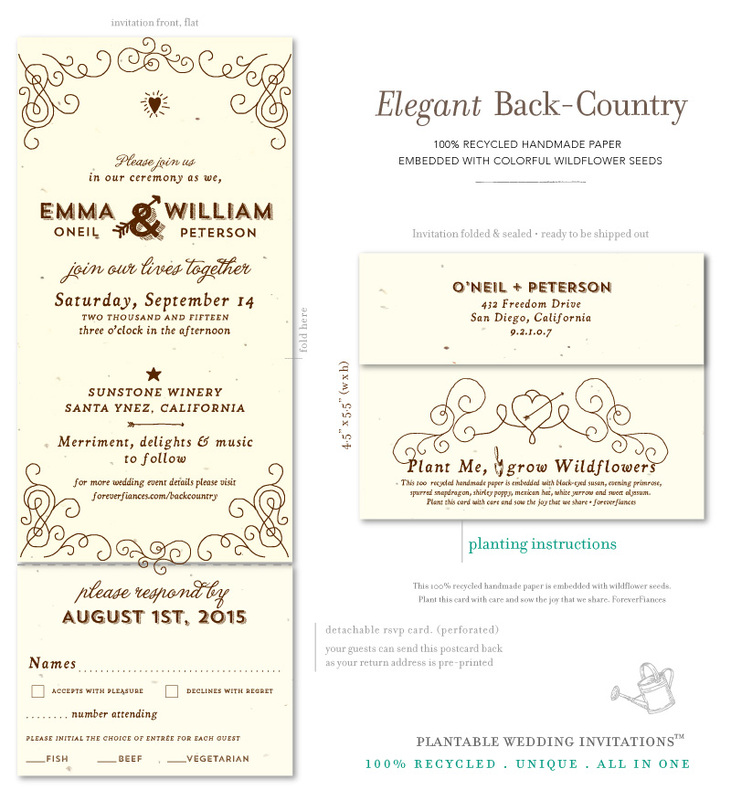 A full matching wedding stationery is available for each design. 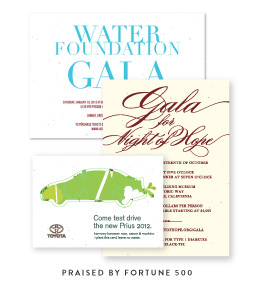 These invitations have matching reply cards, enclosure cards, save the dates, place cards and thank you's as well. So you can make sure your wine harvest wedding invitations aren’t the only beautiful thing your guests receive. If you’re interested in nature and the beauty of the outdoors then don’t think these wine country invitations are your only option. ForeverFiances also has many other nature-lovers invitations that are perfect for you and your future spouse. Your loved ones will be amazed at the beauty and elegance of these invitations and they’ll definitely like the beautiful flowers they get when the invitations are planted. Don’t settle for anything less than the absolute best and the perfect accent piece for your wedding day.